Q: What is the best tripod/head to use with the Hog Saddle? A: Manfrotto tripods are primarily recommended due to personal experience with the brand as a Scout Sniper. Gitzo tripods are another good brand to check out also. Of all these options I think the 055XPROB tripod with a 054 Magnesium Ball Head is an amazing shooting platform with the HOG Saddle. You can't go wrong with any of the above. Q: What is the extra threaded hole at the bottom of the base for? A: The smaller 1/4-20 hole is the most commonly used hole for mounting the Hog Saddle to a tripod. The larger 3/8-16 hole is a backup mounting point for those who use tripods with removable swivel heads. The Hog Saddle is able to mount directly to the base of these tripods, acting as a contingency mounting option. 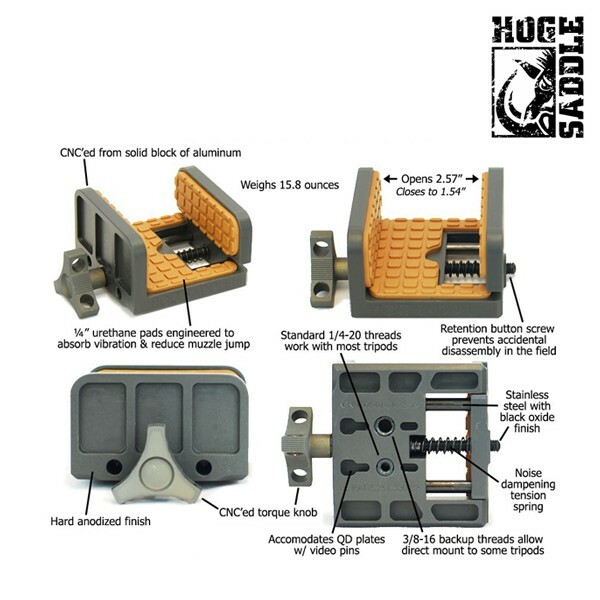 Q: Is a Picatinny Rail attaching rest just as effective as a Hog Saddle? A: No, and here are three reasons why. A Picatinny Rail rest limits your capabilities to only a rifle with rails. 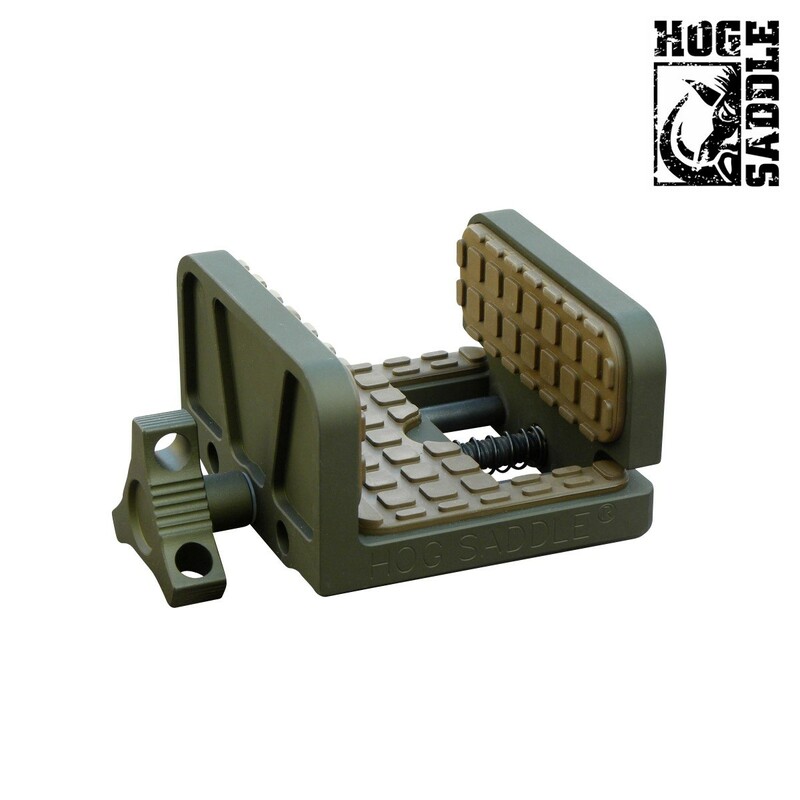 The Hog Saddle will universally secure to any rifle with or without picatinny rails. 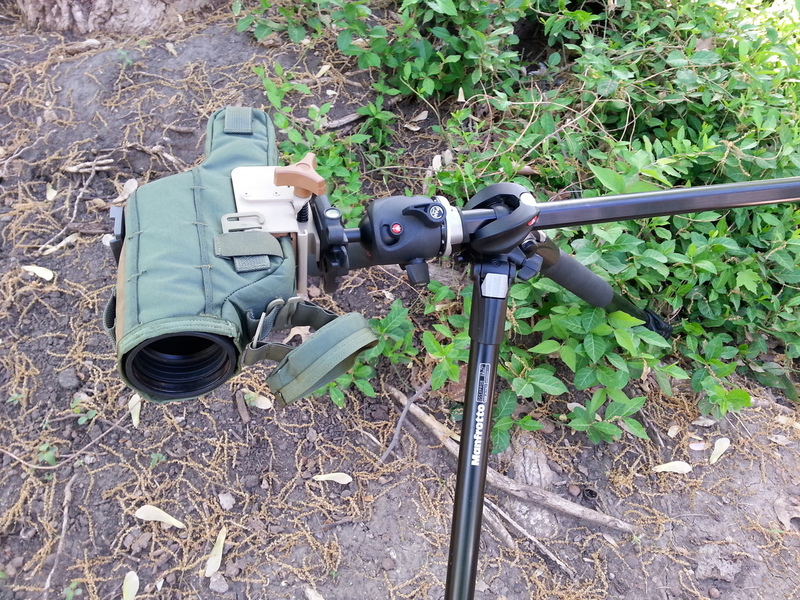 A tripod rest shouldn’t dictate to the user which rifle is appropriate to employ. 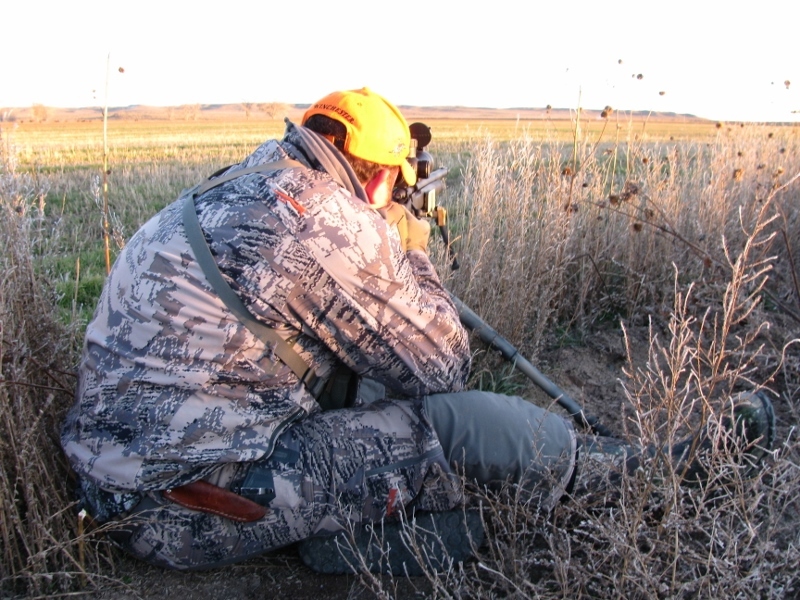 A Picatinny Rail rest creates a metal-on-metal contact to the rifle and rest. This metal-on-metal contact sends rifle recoil straight to the tripod causing the rifle to erratically hop off target. The Hog Saddle’s specially engineered pads absorb rifle recoil and eliminate tripod hop, facilitating rapid follow up shots. The Hog Saddle does not need to be used with a tripod head. This gives the user the option to reduce even more weight and streamline their tripod kit. Not incorporating a tripod head reduces cost to Department and Team purchases. Q: What is the proper maintenance for my new Hog Saddle Shooting Platform? A: Maintenance is very simple. A brush and a damp cloth is all you need. It is recommended to wipe the Hog Saddle down every time after returning from the field. 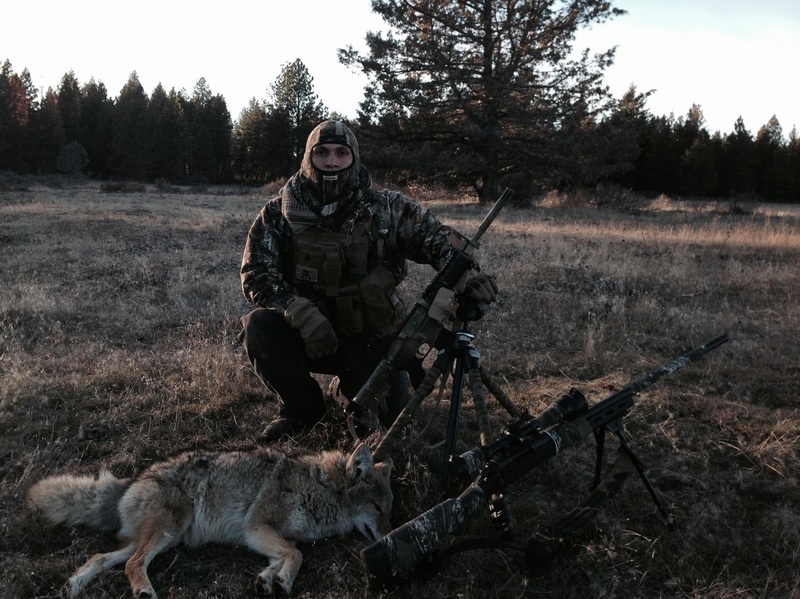 Q: What rifles are compatible with the Hog Saddle? 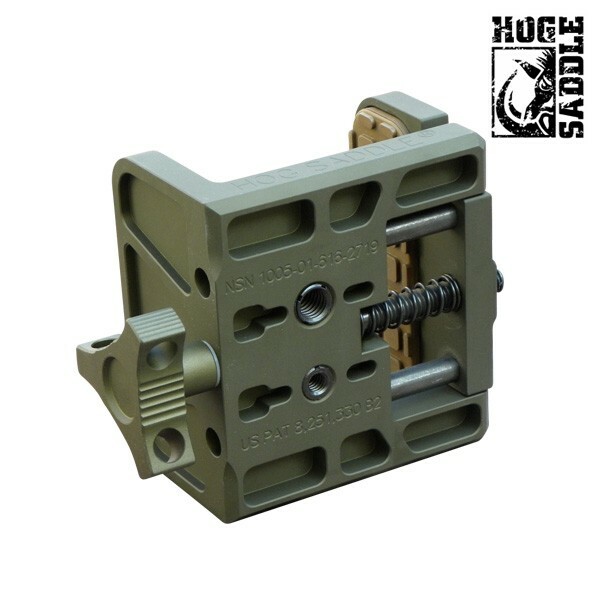 A: The Hog Saddle is a universal rifle rest. Here is a small list of rifles that are currently being used with the Hog Saddle throughout the military and law enforcement community. Q: Will my Hog Saddle rust? A: The Hog Saddle is extremely resistant to rust. The only metal materials used to construct the shooting platform are Aluminum and Stainless Steel. Short from dragging your Hog Saddle through the ocean on a daily basis, you shouldn’t experience a corrosion problem with our product. Q: Is there an optimum way to mount a Hog Saddle to a tripod? A: The Hog Saddle has been designed to mount directly to various camera tripod heads or directly to the base of a tripod without utilizing a head. Some of our customers prefer to mount the Hog Saddle without a head because they feel it provides a more stable platform. We recommend to mount the Hog Saddle with and without a head, and then decide which works best for your personal application. Either way is a great option. Q: Is there a front or rear to the Hog Saddle? A: No, the Hog Saddle can be mounted with the torque knob on either the left or right side. If the rifle rest is mounted on a grip action head, we would recommend putting the torque knob on the same side as the grip action handle. Q: Can I get replacement parts for my Hog Saddle? A: Yes, if you somehow destroy your recessed urethane pads, misplace the torque bolt, or lose the tension spring we can send you a replacement. Email us so we can get you back up and running. Built like a tank, it holds my bolt rifles and AR's rock solid. Bought the hog saddle a few days ago and immediately took it out to test it on hogs. Provides a very stable base for standing shooting and allows for quick follow up shots. Very well made as well. Excellent piece of gear. Very well built and strong. Provides very stable shooting platform. For using heavy rifles with rails/NODs, this is best piece of gear I've found. I am completely impressed with the quality of the mod7 saddle. It operates just as advertised, and holds my 14 pound duty weapon securely. I have also used it with my narrow fore end hunting rifles in the field with fantastic results. You can't find a better product to do its intended task. Machine work is flawless, and finish appears to be extremely durable. We all practice and site in off the bench. 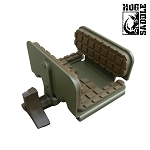 The HOGSADDLE is an easily portable bench and has increased my accuracy 3 fold!! Incidentally, I heartily endorse the Manfrotto euipment you suggested. No serious hunter should be without this equipment.